Vintique Flair has launched a new eCommerce website. This is a company that displays a passion for finding vintage and unique home decor and fashion products. The name of the company was chosen to showcase exactly what the company was all about. They carry brands such as April Cornell, Now Designs, Danica, Country Home and more. Vintique Flair offers great deals on Table Runners and Cloths, Tea Towels, and Home Decor. Vintique Flair had specific, targeted goals when approaching APM Solutions regarding their eCommerce website. They wanted a means to showcase their products with a simple layout to allow for the customer to easily find unique and vintage style products. The style and looks of the website accurately portrays Vintique Flair. APM Solutions designed a site that brought their categories of products to the homepage for ease of navigation and quick purchasing options. All photos have been optimized and re-imaged to allow for better performance and integrating our eCommerce module means that adding, removing and updating products is effortless. 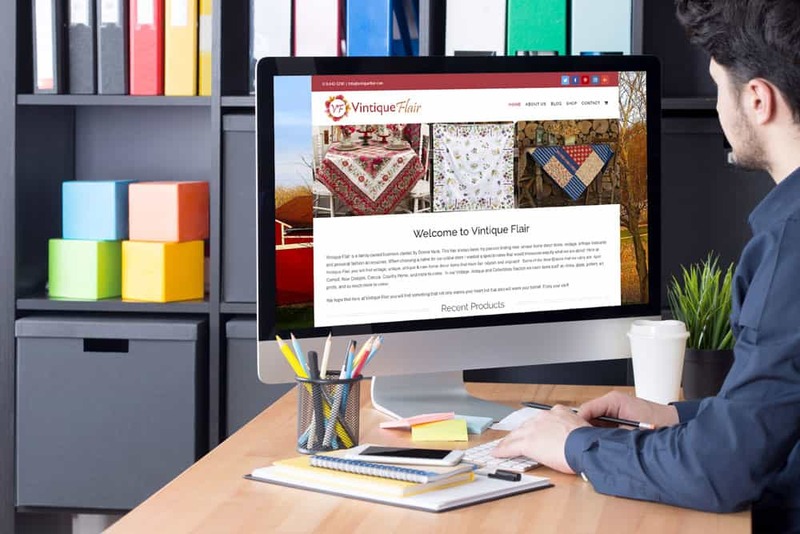 With Canada Post integration for accurate shipping costs, Vintique Flair now has a website that is full service and better equipped to provide outstanding services to their customers. Ready to generate more sales through your eCommerce website? Let APM Solutions help you develop a professional website that sets your online store apart from the rest. Please call 613-883-0700 or fill out our online contact form to contact an eCommerce specialist for more information.